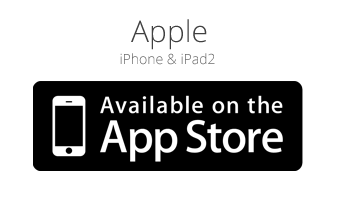 Termites – they cause millions of dollars of damage each year! 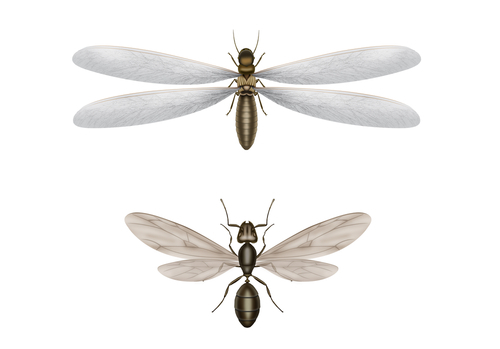 Here at Millette Pest Control, we feel it’s important to educate you about Termites – what to look for and the key differences between a flying Termite and a Flying Ant. As the temperatures begin to warm over the next several weeks, we will begin to see termite swarming activity. 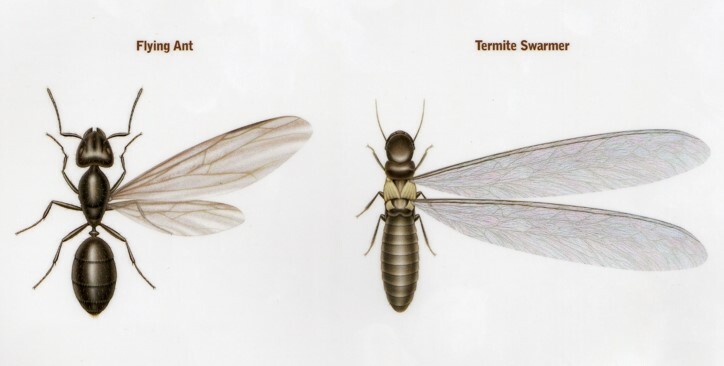 Take a look at the picture below – Can you tell which one is a Termite and which one is an Ant?